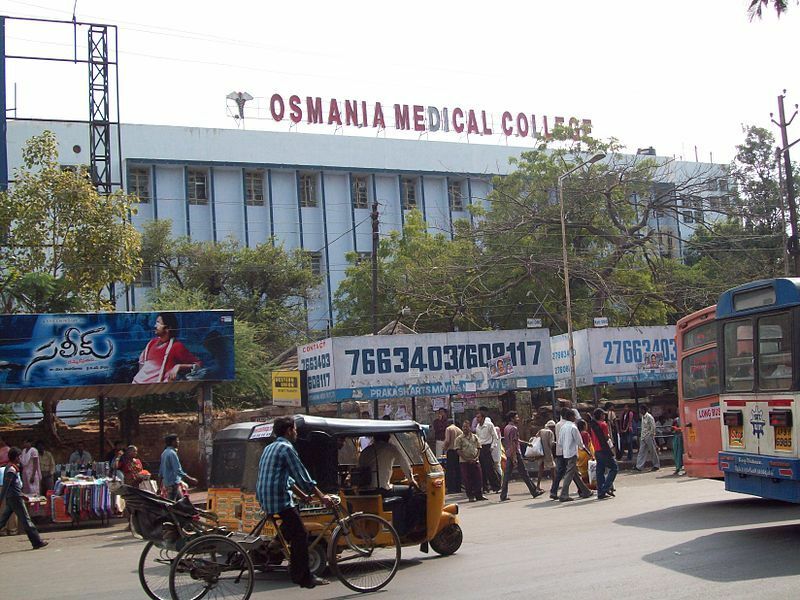 The Hyderabad Medical School which came into existence in 1846 A.D. was the fore-runner of Osmania Medical College. The medium of instruction was Urdu ,the degree was Hakeem. Last two decades of nineteenth century was the glorious period of this school. Seventh and the last Nizam of Hyderabad Nawab Mir Osman Ali Khan established Osmania University in 1919 A.D. and in the following year the Hyderabad Medical College. In 1957 A.D. Hyderabad became the Capital of enlarged Andhra Pradesh. Tremendous zeal and enthusiasm was evident to achieve all round progress in medical education. Medical Education, Research and health care of the people are vastly improved by the presence of medical college and teaching hospital in any area and in an atmosphere of medical research. This is true of Hyderabad also. The affiliated hospitals are listed below with their bed strength in parentheses. 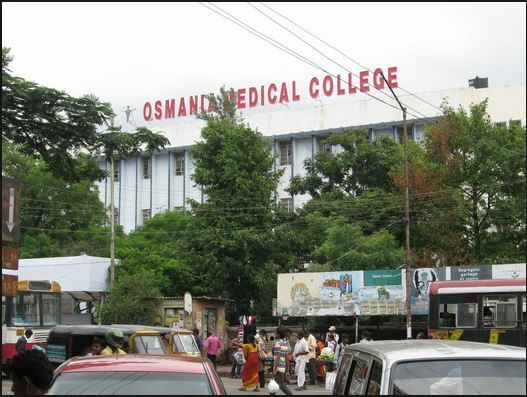 1.Osmania General Hospital (1200) formerly known as Afzalgunj Dawakhana. 2.Government Maternity Hospital Petlaburj (462) formerly known as Victoria Zenana hospital. 3.Niloufer Hospital for women and children (500) also know as Institute of Paediatrics. 4.Mehdi Nawaz Jung Cancer Hospital (250). 10.Sultan Bazar Hospital for Women (160) formerly known as the British Residency Hospital. 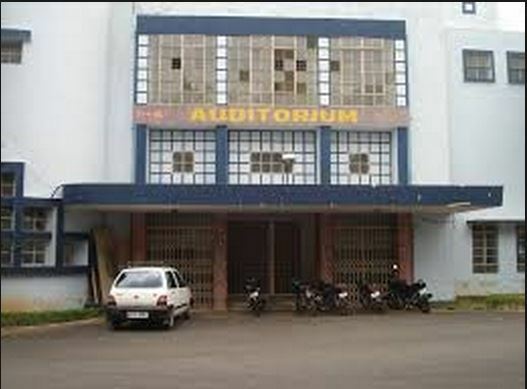 The college has an area of 20 acres and has modern infrastructure and facilities. Ithas an Electrophysiology Lab. 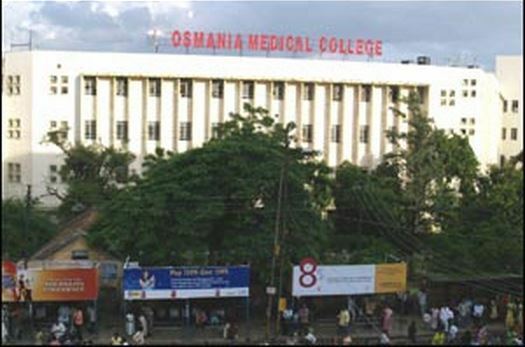 This facility is unique and Osmania Medical College is the only medical college in the state of Telangana with such a facility. Dr.Chelikani Venkata Rama Rao, famous Communist leader and Parliamentarian. Dr.Mandadi Prabhakar Reddy, a versatile Telugu Character actor. Dr.K. Srinath ReddyMD, DM, the president of the Public Health Foundation of India. Ranking:The college has been ranked 17 amongst the India’s best colleges by India Today Survey 2014. To pursue MBBS/BDS at OMC students must satisfy following eligibility criteria.